Hi guys.. how r u all? Sry for posting late as I was not well. Now feeling little better so thought to post. M realyyyyyyyy very happy to see ur response for previous part. Sry for not replying for ur comments due to health. This time I’ll…Pls support like this only. I’ll try to post soon my other ff also. Lets start now..
Rag: sry for late guys. Kavya, kavita, samay, Ankit and Ratan smiles. All: shall we go now. All gathered in hall. After some speech and all started to dance. Kavya and samay. Kavita and Ankit r pairs. 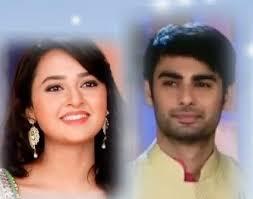 Ratan loves Ragini but dint confess her still. All 4 know except Ragini. All were dancing in pair. Ragini was dancing with Ratan. Machne de payal ka shor. To bas phir jaane de. To pathjhad mein bhi khil jaate hai. Jaise sang patang aur dor. Haan dekho aaye, aaye chor. All hug their partners. Ragini also hugs ratan happily. Ratan got happy that first time ragini hug him closely, normally they share hug but not so close. And on that the romantic environment he felt happier. For a moment he felt that he got ragini. But ragini is unware if these things. After everything all moves to their hostel. All lives in hostel except ragini. But she almost stay with kavya and kavita in hostel. Next day in college canteen all joined and waiting for ragini. Kavy: its not new sam. She is always late. Ank: hey guys I’ve an idea. Sam: not but. We know that u love her so much. We r also her friends. After few mins rag joined them. She saw all faces were serious. Rag: wat happened? M sry for being late. Rag: hey guys don’t b silent. I cant bear silence especially from u guys. Pls I told na sry. Next time I wont repeat. Pakka. Kavt: wat do u think of ur self, queen of college? That every time u make us wait. Kavy: she thinks us like her workers. Rag: (her voice became very low) sry guys. Its nothing like that. I don’t do it purposely. It just happens. But next time it won’t. Sam: and wat u did yesterday ? u made us dance in centre. All r laughing at us. U insulted us ragini. We never expected this from u. now don’t talk with us. Ur not our friend. ragini’s face became pale. All were suppressing laugh. Suddenly tears started to roll from ragini’s eyes. All became shocked. Kavy: hey ragu , we were joking yaar. Don’t cry. Kavt: yes ragu. We just thought to joke. Pls don’t cry. We r really sry. Sam: our intention was not to make u cry. We r sry. Pls pls.. u can punish us. All bend on knees holding their ears. Rag: (crying) don’t ever do these kind of jokes with me. I’ll die that moment only. I cant imagine my life without u all. All: we never meant that. Sry sry sry. All share a group hug. All smile. Rag: but I’ll give punishment. Sam: (dramatically) we just simply told . u took it serious ragu? Rag: stop ur drama. Mom invited u all for dinner. So be at home at sharp 8. Me. Kavy, kavt leaving together after college only. Rag: and ha onemorething. Wear proper dresses. If my relatives wud present means… u know wat I mean. Rat: u r telling like we gonna come in our shorts. Rag: shut up guys. Ok bye. Jan: ragini. Dinner is ready, when they’ll come? Boys: we r here aunty. Rag: u guys r always late. Sam: see. Who’s telling us late? Rag makes excuses and goes. All had dinner with fun. After dinner. Jank: sam, ank and ratan its too late. stay in our guest room, and mrng go to college. All were sitting in ragini’s backyard garden teasing eachother. Rat: I’ll bring cold drinks for us. He goes little far. Kavya stopped him. Kavy: till when u’ll hide ur feelings ratan? Propose her. May b she accept. Rat: I get scare if she’s no then I’ll lose her frndshp too. Atleast daily sheis infront of my eyes. Kavy: but its not for whole life ratan. Think abt it. Don’t make too late so that u will regret later. Saying so she left. Rattan lost in thinking. After few days ragini was getting ready to college, she got a call. It was sam’s call. Rag: today I’ll b on time don’t wry, I remember my…. She interrupted by sam’s words. hope u liked this part. pls do likes and comments.